With the new seemingly permanent high prices of cigarettes, finding ways to smoke for less cost is something a lot of people are looking to do today. The problem is that it can be a little confusing for people new to it. There are so many different ways to make your own cigarettes. Here's a short review of the various methods of saving money by making your own smokes. The simplest way is to roll your cigarettes by hand. All you have to do to do this is buy rolling tobacco and papers. This method requires a certain amount of skill though. It's not good for beginners. You can also buy hand rollers that can roll the cigarette for you. 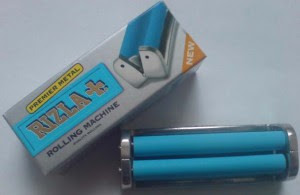 This is recommended for people who aren't that good at rolling their own cigarettes. Most tobacco stores will sell these devices. You can also buy filters that are made to be used with the hand rollers if you prefer. These hand held rollers cost only $2 to $4 dollars, and papers are not expensive either. A bag of 200 cigarette filters is about $2 to $3 dollars. The closest to real cigarettes is by using a tobacco shooter, also known as a tobacco injector. These small, usually plastic devices cost $5 to $10 and last a while. You need to buy them with pre-made cigarette tubes and tobacco. When you make a cigarette with an injector, they are just like real cigarettes. Pre made tobacco tubes are cheap, about $2 for 200 of them. It can take some time and skill before you learn to use an injector the right way though. Be careful not to put too much tobacco in the shooter or it will jam up. Cigarette making machines are similar to an injector, but they are made of metal and last longer, can make better cigarettes, as well as a better cigarette. These can cost anywhere from $50 to $100 dollars. You are better off buying these online because not many places sell them. The only places I've seen them are tobacco shops. Smaller places like convenience stores don't sell them. You will also need pre-made cigarette tubes for these. These can produce more cigarettes faster than a simple injector can. 4. What type of tobacco to use? In the last few years, the price of loose tobacco has gone through the roof. 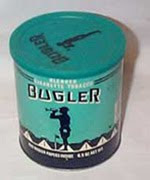 Brands like Bugler and Top, which sell bags and cans of cigarette tobacco have been subjected to very high tax increases, which has made them not that much cheaper than just buying packaged cigarettes. The solution is to buy smooth pipe tobacco, which is not subject to the same taxes because it is technically pipe tobacco. Since it is a smooth flavor, it is more loose and can be used for cigarettes. When buying pipe tobacco, always go for a smooth and mild flavor over a strong flavor because the strong flavor is really for smoking in pipes. You will need to go to a tobacco shop or even a pipe shop to find this type of tobacco, but it is much cheaper than cigarette rolling tobacco. If you can, try buying your tobacco online. 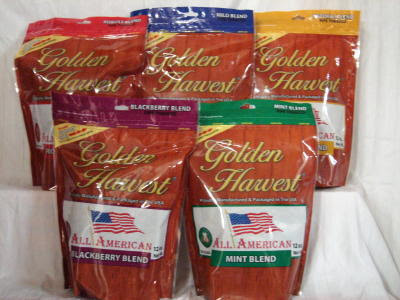 Buying tobacco from an online vendor is usually cheaper than buying it in a store. Do a Google search for online rolling tobacco to find a good site to buy from. If you have any questions at the tobacco store, just ask the person working the counter, they will help you begin making your own cigarettes.